Hello everyone! As you might recall, we had a really busy weekend with lots of events! 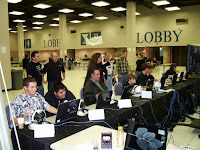 Here are some pictures from the NVGA SuperCon event over the weekend. <-- Giant Newton on a giant Falcon. 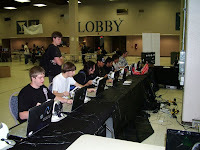 <-- One of the tournaments in high gear! <-- More tournament game play. 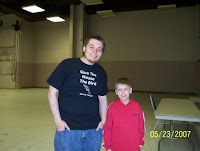 <-- Novint employee, Pat with Ben Eberle. The famous 9 year old guitar hero! 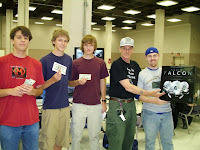 <-- Winners from the Virtual Pool 3 Tournament with Novint employee, Ed! 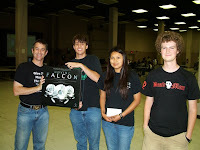 <-- More winners with Novint employee (and customer service super star) Eric. <-- Don't worry, it wasn't all work at the tournament. All of the Novint employees take a break for some gaming action.